I don't get out to the movies much anymore. It's a lot harder when you have a kid who is still too young to watch all of the horror movies I want to see. 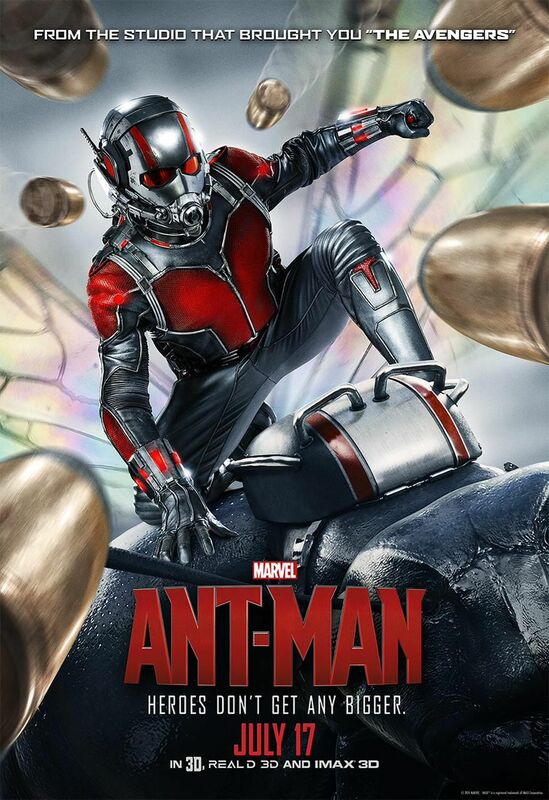 Fortunately, I did get out to see Ant-Man while the rest of the family was occupied. I'm glad I did. It was a wonderful film with smaller stakes than a lot of the superhero movies lately but easily the biggest heart. 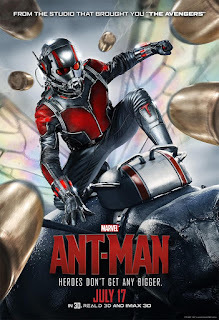 The movie follows Scott Lang, a thief who is fresh out of prison and trying to start life over so he can do right by his little girl. Unfortunately, that's kind of tough when you have a prison record and most honest jobs don't want anything to do with him. Enter Hank Pym. Hank has a problem too. His protege, Darren Cross, is about to recreate Pym's research into Pym particles which allow you to shrink and grow objects at will. Cross wants to sell this to the military and have the whole concept of war revamped. Seeing how this could be devastating, Pym recruits Lang to help steal the prototype suit that Cross would use to show off his work. As you might imagine, Lang is in a bit over his head. Fortunately, Pym's daughter Hope is around to show him the ropes and help train him in becoming Ant-Man. What results from all of this is a fun and action-filled heist film that is grounded in the Marvel Universe and loaded with great characters you can't wait to see more of. The fights when Lang is shrunk down are particularly great, as something as simple as a bathroom can become a massively new terrain with hazards and dangers to navigate. The effect is dizzying and dazzling and looks really great in 3d, which I'm usually not a fan of. The smaller stakes in the film also help it feel like an issue of a comic book. There's not a massive threat bearing down on the city or the world that has to be handled. Instead, it's about taking down one man and solving a problem that the Avengers would be too busy to handle. Speaking of which, there's a great cameo from an Avenger that is one of the highlights of the film. I don't want to spoil though the trailers on TV did that for me. The cast is great and have a great chemistry together. Paul Rudd and Evangeline Lilly as Scott and Hope are terrific and I'm looking forward to a sequel where they can be the dynamic duo that the movie hints at. It's just a shame that with all the movies on Marvel's slate, we'll most likely have to wait awhile to see them in their own film. Here's hoping they have spots in Captain America: Civil War and the Infinity Gauntlet.